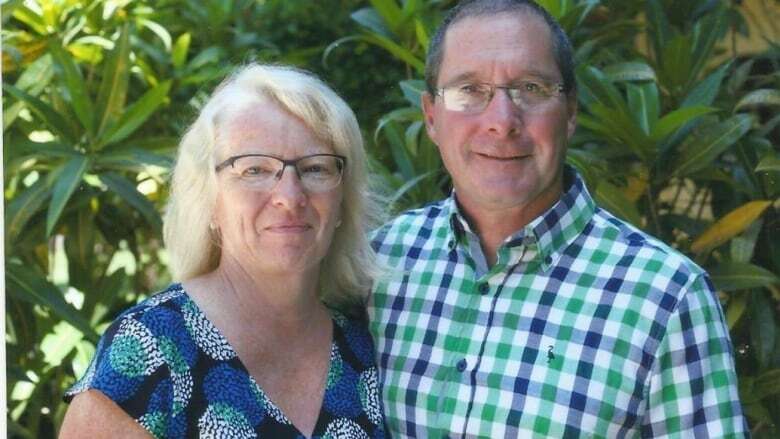 Short on the basic necessities of life, Wade and Marilyn Fitzpatrick had to make the tough decision to get out of Haiti this past weekend. The Weyburn couple spend half the year in Haiti with the mission, Haiti Arise. Short on the basic necessities of life, Wade and Marilyn Fitzpatrick had to make the tough decision to get out of Haiti this past weekend. 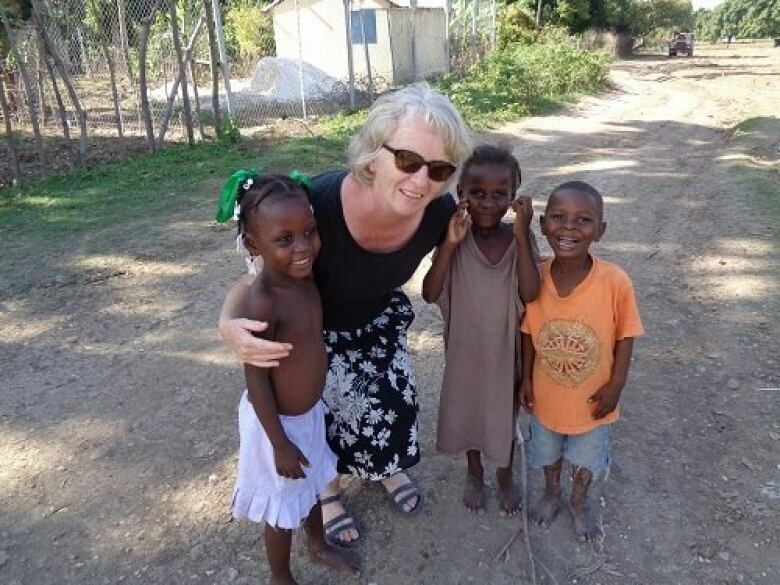 The Weyburn couple spend half the year in Haiti with the mission, Haiti Arise. But as protests against the Haitian government blocked major highways and cut off supplies to the Haiti Arise compound, the Fitzpatricks say they made the decision to get out. "Nothing was coming in and nothing was going out," said Wade Fitzpatrick, who was a pastor for 27 years before spending the last seven years working in Haiti. "We were starting to run out of diesel, and water, and food and all those things we need to have to keep living." They had a team of 22 people living in the compound at the time. They tried most of last week to leave by vehicle, but every day, they woke up to news reports that the roads were still blocked, Marilyn said. With the situation becoming more dire, on Friday, they hired a helicopter company to come and airlift people out to the Port-au-Prince airport, which is about 65 kilometres away. A total of 26 people were airlifted out Friday and Saturday. All but the Fitzpatricks were from Alberta. Since Feb. 7, protests have erupted across Haiti over billions of dollars in allegedly misappropriated government dollars and a miserable devaluation of the Haitian currency, the gourde. The gourde is currently worth only about two Canadian cents. It's worth around half of what it was worth in 2010, after the major earthquake, and salaries have not kept up. "Things started falling apart quite badly in the summer," Wade said, adding the situation worsened again in the fall. "We were getting a little nervous about what was going to happen." Then on Feb. 7, on the 33rd anniversary of the fall of the Jean-Claude Duvalier regime, the protests began. "They're hungry," said Wade. "There are 11 million people living on a dot 1/25th the size of Saskatchewan. So when that many hungry people get mad, they can create quite a storm." The aid group Haiti Arise compound is located near Grand-Goâve, about 47 kilometres west of the capital city of Port-au-Prince. The Fitzpatricks have been team hosts for the past seven years. "We have about 15 teams that come down each year and Marilyn and I take care of them," Wade said. 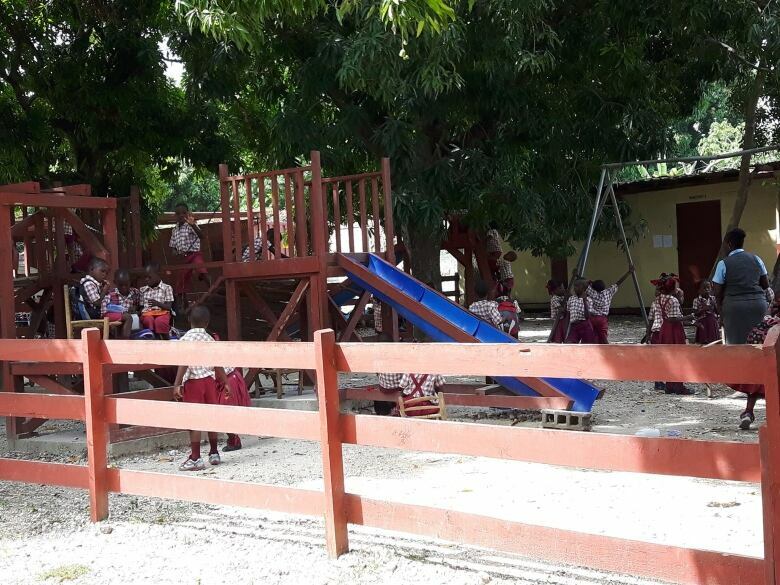 "They are generally 10 people to a team and they come down to do construction work, building houses, schools, a children's village and medical clinic at Haiti Arise," added Marilyn. Marc Honorat, who co-founded the aid group with his wife Lisa, is still in the compound with a few Haitian staff and is giving daily updates. Marilyn said there is always an underlying unrest in the country. "The people will demonstrate to get a message across about a number of things," she said. "But you kind of used to that. Where we live it is rural and so it's fairly peaceful. We hear about demonstrations in Port-au-Prince but they really don't affect us directly most of the time. "But when it escalates to the point that it did the last couple of weeks, it becomes quite apparent that it is fairly risky to be there." Currently, the Canadian government is advising against any travel to Haiti. The Fitzpatricks intend to return when things cool down and the advisory is lifted. Wade said they are fortunate, as they are able to leave the country, which is not true for many others. "All these many 11 million Haitians are there living in a crisis made by man and they are really, really hurting for it," he said.